Elegant wardrobe with two fold-out hooks that transform the narrow structure into an inviting wardrobe in no time at all. Elegant silhouette in original design. ONTARIO has two fold-out hooks that turn the narrow structure into an inviting wardrobe in no time at all. Approximately ten coat hangers can be effortlessly accommodated. In addition, ONTARIO has eight small additional hooks that can be used for additional items of clothing. Four of these hooks are placed at a medium height, ideal for hanging handbags or children's clothes etc. 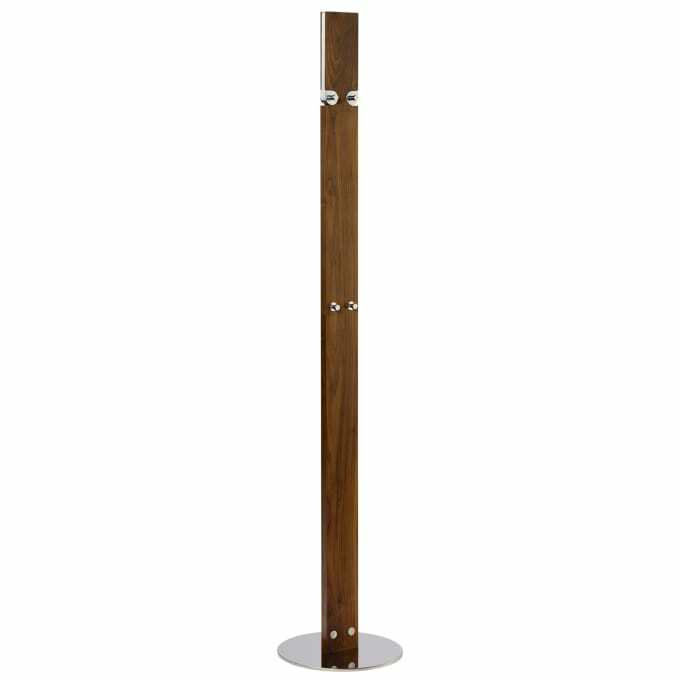 A lot of benefits combined on a stable platform - so this wardrobe leg makes a good figure for every entrance. Do you have a question about "Ontario"? How can we contact you?